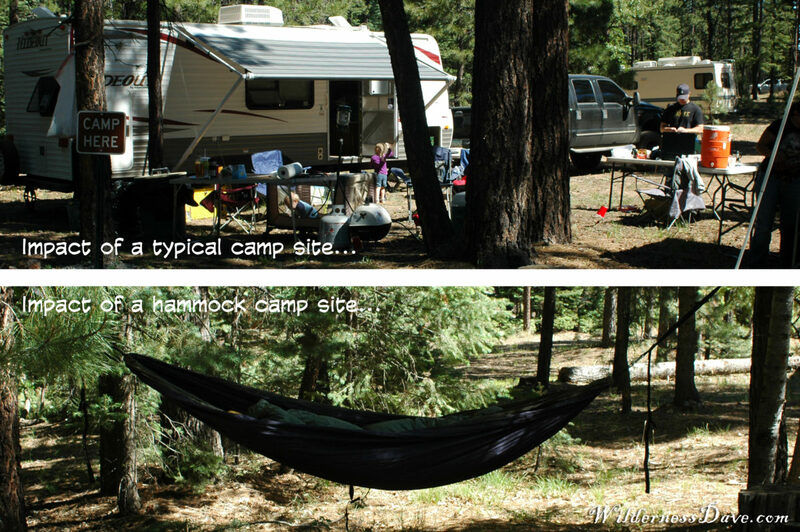 I imagine you’d have to get creative about using hammocks for family camping. But I have talked to Derek (The Ultimate Hang author) and he has taken his family hammock camping with great success. In his book he even talks about hanging his kids’ hammocks above his like bunk beds so they can share the same tarp cover and he can keep a close eye on them. It can totally be done! Are there any basic guidelines for hitting the right tension? I’ve always been worried that I’d sleep in a bit of a hammock slump and wake up all out-of-whack. Have to admit it’s enticing, more so than “under the stars” which I’ve never been good at. There is! The Ultimate Hang book has some great illustrated guidelines for creating the right hang angle, tension, and spacing between anchors. One of the cool features of the book is that it has interactive QR Codes throughout that link to more detailed information and tools you can use in the field. Go to http://theultimatehang.com/hammock-hang-calculator.html to see what I mean. The trick is to achieve a 30 degree angle between the anchor and your hammock. Some adjustment might be necessary for your personal preference, but 30 degrees is a good guideline.